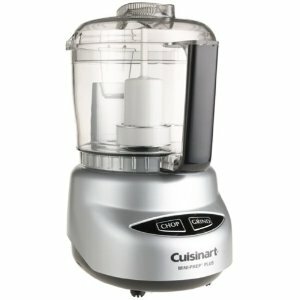 Get 47% off this Cuisinart DLC-2 Mini Prep Plus Food Processor taking the price down to $39.95. This is a handy thing to have in the kitchen. With it’s 3 cup size it is useful for when you just need small portions. It can be used for chopping, blending and grinding. It comes in a huge range of colors so there is sure to be something to match your kitchen decor. Free Valentine’s Day Photo Book from Vistaprint – just pay shipping! Black & Decker 4 Slice Toast-R-Oven just $20!